Eight weeks till Bead Fest Philly! I know you're as excited as we are! This year we'll be in the same place, Booth 161, near the entrance, make a right at the first aisle. 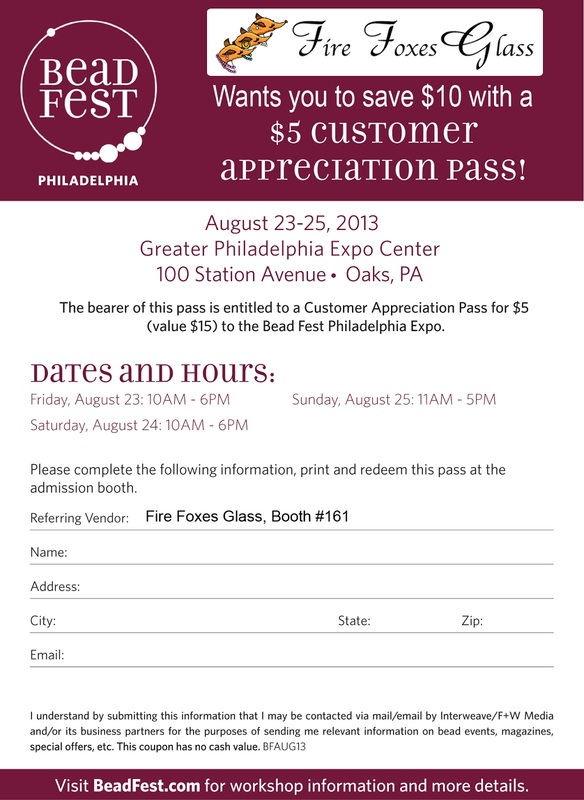 Bead Fest is allowing us to give all of our customers a $5 customer appreciation pass which will save you $10 at the door! Print out the image below and give it to your friends and family and stop by and see us!